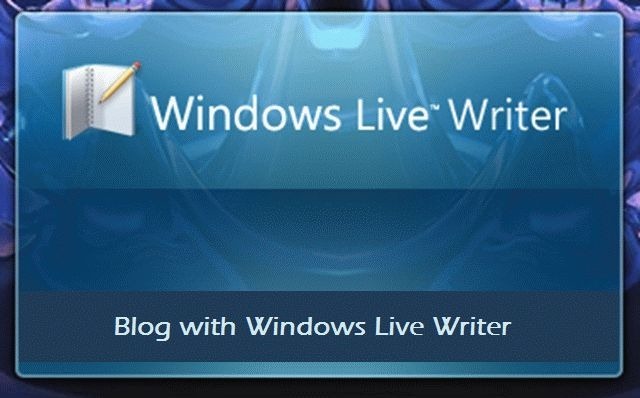 Windows live writer, as almost all of us know, is a blog publishing desktop application that is available for free download as a part of Windows Live Essentials pack. You can add photos and videos, format everything just so, and publish to most blogging services. 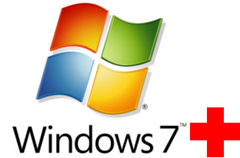 If you need to get a small overview with a getting started guide for Windows Live Writer, you can quickly go thru this. I use Windows Live Writer to publish almost all of the posts to Internet Techies, and it really makes my task a lot easier. 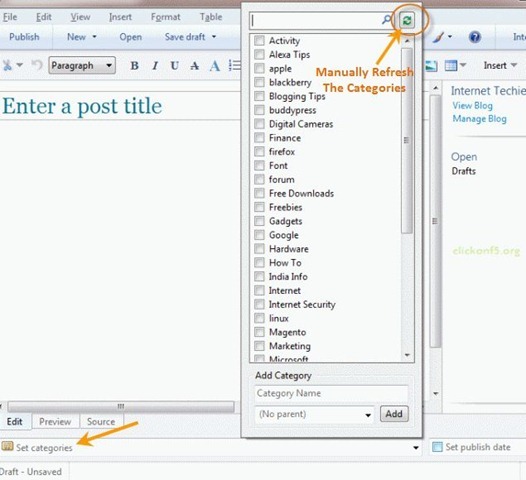 Last day I felt a need to refresh my blog categories on Windows Live Writer, to synchronize them with the Internet Techies blog categories. There are two ways, either you can manually refresh the categories or you can enable automatic updating of the categories thru a settings option. When you go to write a new post, you can see the ‘Set categories’ tab at the bottom left hand corner. When you click that, you get all the categories you had imported from your blog while setting up the Windows Live Writer blog account. At the top of the categories select boxes, there is a refresh button. When you click this button, you will get all your blog categories synchronized with your actual blog account. 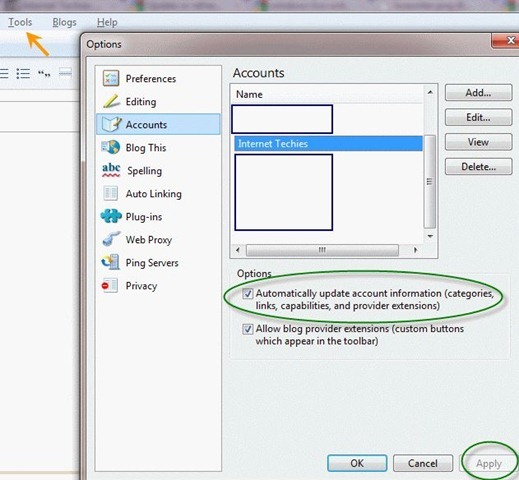 This time may be it will again ask your login credentials, before importing the new categories created. On the menu bar go to Tools –> Accounts –> Accounts –> Options (right bottom) –> Select the "Automatically update account information (categories, links, capabilities and provider extensions)” select box. And “Apply” the changes. You are done. 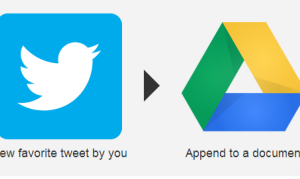 This will be effective for all your blog accounts. I hope you find this post useful. Please drop your comments in the comments section below.